Tom Wagoner is the Lead Pastor of Central Baptist Church of Dunn, NC. His powerful preaching and down-home personality have made him a sought after speaker nationally. Originally from Winston-Salem, NC, he came to Christ at age 12 in 1972. God began speaking to his heart immediately about serving Him and he started preaching at the age of 16. In 1984, God called him to pastor a small group of people who were forming a church in the small town of Dunn. Since that time, God has blessed Central Baptist Church under his leadership to reach over 1000 in regular attendance. With a passion for revival, Pastor Wagoner also preaches in approximately 25 revival meetings throughout the country each year. Tom met his wife, Teri, while the two were at Tennessee Temple University. They have been blessed with three children, Stephanie, Tiffany and Stephen. Stephanie is a kindergarten teacher at Cape Fear Christian Academy in Erwin, NC. Tiffany is married to Michael Smith, a businessman in Stedman, NC. They have two sons, Thomas and Justice. Stephen is a Missional Strategist and serves at King’s Cross Church in Clayton, NC. He and his wife Brooke have four children: Noah, Eli, Kanaan and Madelyn. 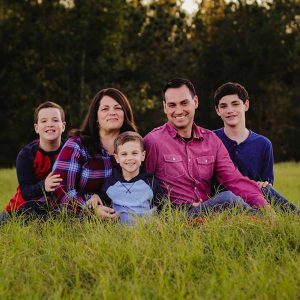 Growing up in a Christian family and under the influence of a preaching Grandpa in Thomasville, NC, Darren eventually traveled throughout the country singing Gospel music. 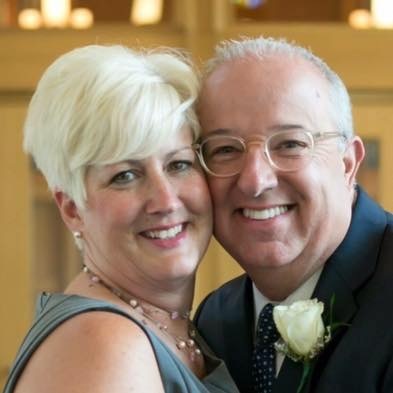 After marrying Margy in 2003, the two settled in Dunn where God unexpectedly called them to CBC. They are blessed with two children, Sophia and Isaac. 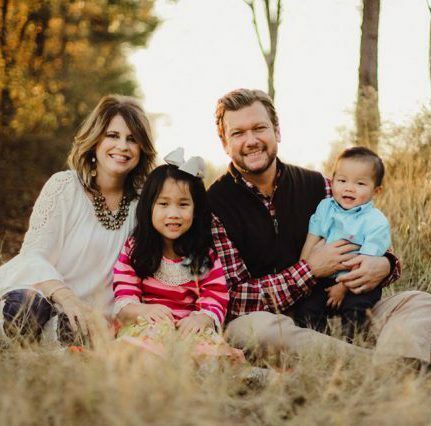 Learn more about their adoption journey here. He has earned a BS in Music from Tennessee Temple and Masters in Pastoral Counseling from Liberty University. 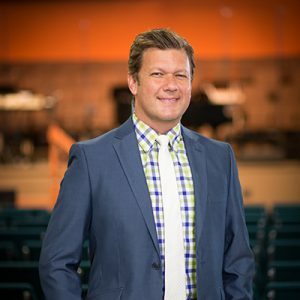 Darren’s primary areas of ministry are in Administration and Music and is passionate about encouraging the church to worship God by serving where He has gifted them. He leads the church in worship through choir and worship teams and is part of the music group, Butler, Hughes & Hayes. Born and raised in Clearwater, Florida; James was blessed to be born into a Christian family receiving Christ as Savior at the age of 7. He went to Flagler College initially to become a business lawyer. God had another plan calling me into full-time ministry. 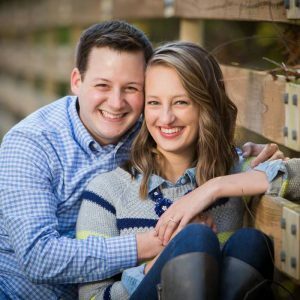 After graduating from Flagler, James married his life-long friend Jenni and moved to North Carolina to go to Southeastern Baptist Theological Seminary. During this time, he served as an intern for CBC. After graduating from Southeastern, he joined the staff as Minister of Education where he has served since 2005. James also serves as the Judgement House© Director at CBC as well as a National Leader and Trainer for other churches. He has written Judgement House© scripts and scripts for various drama productions. James and Jenni have one son, Logan, born in January of 2008 and a daughter, Megan born in February of 2013. 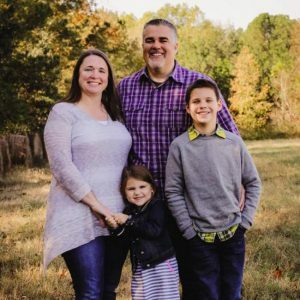 Jeremy Autry is the Children’s Pastor at Central Baptist Church in Dunn, NC. Jeremy is convinced that, despite statistics and trends, the next generation can be captured for Christ. He is passionate about seeing young people give their hearts to the Savior and grow in Him by education and experience. God loves teens and children; Jeremy wants to make sure they know that. KidCentral, the children’s ministry of Central Baptist, ministers to kids in grades 1-6. With a volunteer team of over 40 adults, KidCentral provides a fun experience where kids learn that God is anything but boring. Jeremy and his team produce their own curriculum including Sunday School material and the WIN program. It is Jeremy’s desire to present a children’s ministry that keeps kids excited about God while teaching them biblical truth. His dream is to see a crowd of kids who drag their parents to church so they can learn about Jesus, and not the other way around. Jeremy graduated from Liberty University in the summer of 2007. Jeremy is the grateful husband of Cheryl with 3 sons: Dylan, Owen, and Ryan. He is ridiculously interested in superheroes and Star Wars and has an affinity for Phineas and Ferb. Originally from Monroe, MI, Chuck grew up in a Christian family that attended church regularly. He gave his life to Christ at the age of 11, and as a teenager believed God was leading him into the ministry. He began preaching at a young age and began his studies at Crown College in Powell, TN. It was there God began to do a work in Chuck’s heart, where his relationship with Jesus grew deeper, and the desire arose to see the youth of America transformed by the gospel. He graduated from Crown College with a BS in Youth Ministry in 2015. While in school, Chuck met and fell in love with Kaity Wyatt. After getting married in August 2015, the two served as youth ministry leaders at a church in East Tennessee. Not long after, they followed God’s leading and moved to Dunn in June 2016 where Chuck now serves as the student pastor of Central. It is Chuck’s passion for teens to meet and fall in love with Jesus, for them to be sold out and set apart for the glory of God, and to equip all students in 6th-12th grade to know why they believe what they believe. Our student ministry follows the blueprint of being kingdom expanding, character transforming, and culture shaping. Our gospel-centered teaching, preaching, and worship makes for an exciting environment and shows teenagers that there is joy in following Christ!